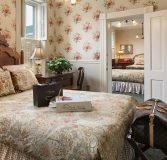 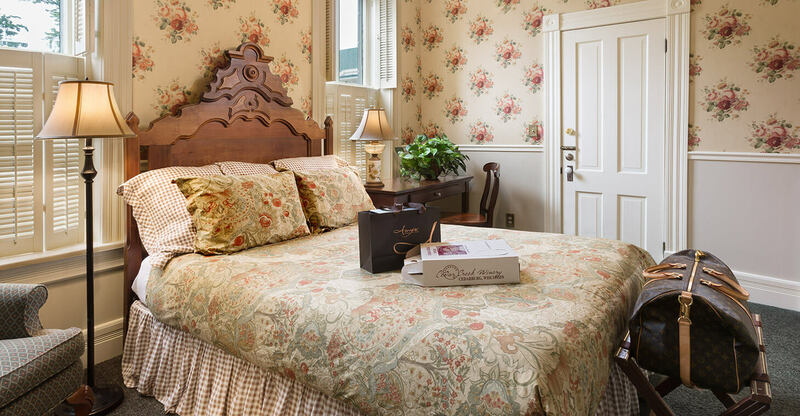 The Reuben Wells room, rich with Victorian antique wood furnishings, is perfect for weekend getaways near Chicago for couples. 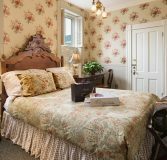 A queen bed with beautifully carved Victorian headboard and private in-bath shower/Whirlpool tub create a warm and cozy atmosphere. 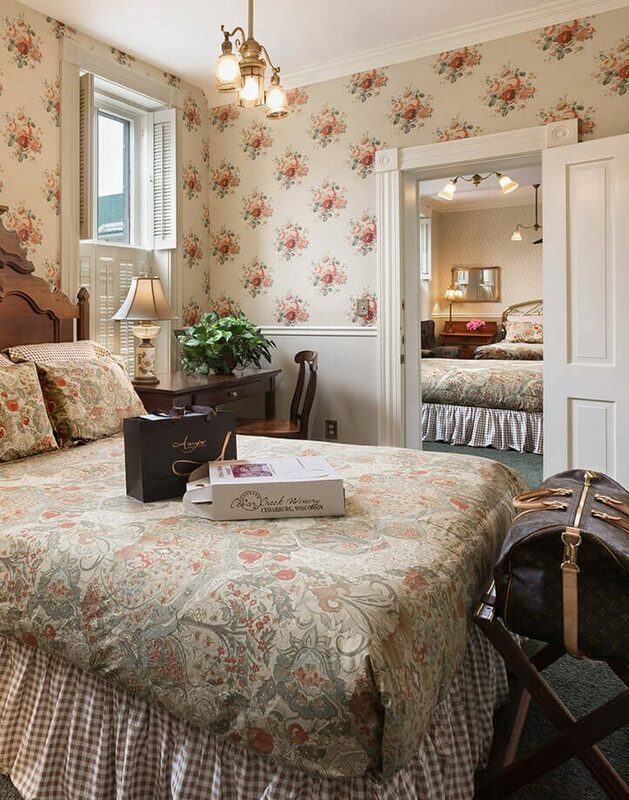 Delicate wallpapers and soft lighting just add to the charm of this retreat in the heart of Cedarburg, Wisconsin. 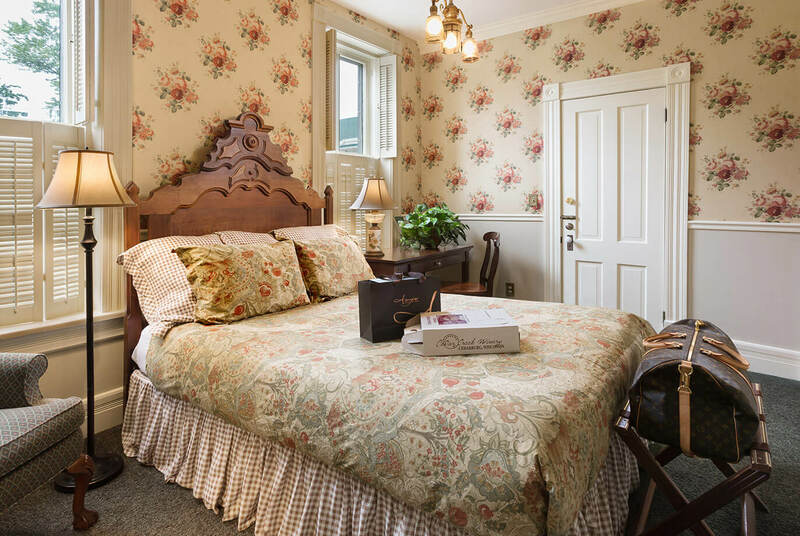 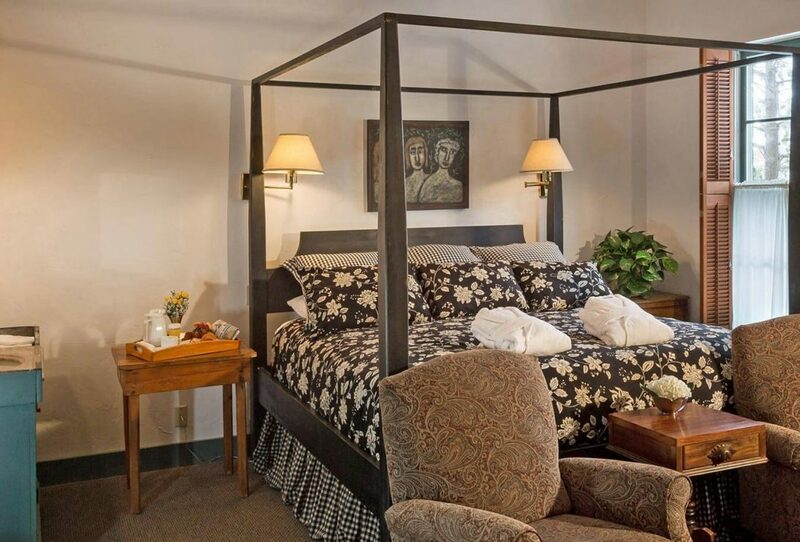 This handicap accessible room can adjoin with the William Schroeder room (205) when requested for groups traveling together.